Compatible with all types of FDM 3D printers, suitable for printing artworks and crafts. Being a well-distinguished company in the market, we are into offering PET 3D Printing Filament. 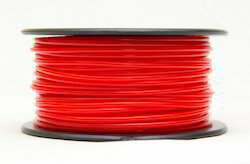 we have good quality filaments and also RoHS certified filament.we are the supplier of 3d printer filaments. - Reshape Ideas PLA filament helps to produce high quality prints, minimize filament problems. HIPS is a High Impact Polystyrene filament and has an interesting property that makes it particularly well suited as a support material. Reckoned as prominent business name, we are engrossed in presenting a comprehensive consignment of 3D Printer Filament. We at PAT are proud to provide the top quality 3D printing filaments in ABS, HIPS, PC, PA(Nylon), Flexible while continuing to test the innovative new materials to add to our existing line of products.